The shantung pouches are perfect for an elegant wedding favor. Even if the olive isn't the theme of your wedding, these classy favors will sure make the difference. 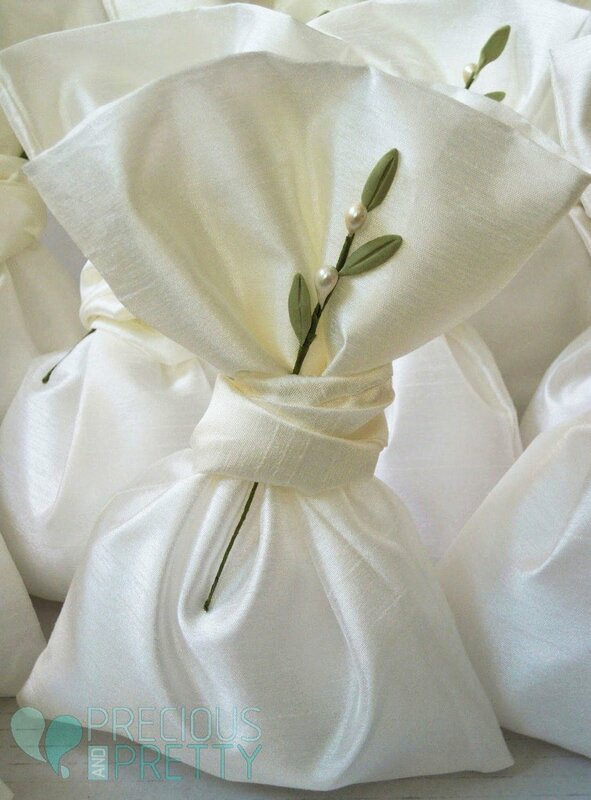 We have combined the ivory bags with a handcrafted olive twig, made with porcelain leaves and ivory pearls. The bombonieres are filled with seven koufeta, sugared coated almonds. Size 14 x 16 cm ( 5.51' x 6.29' inches). 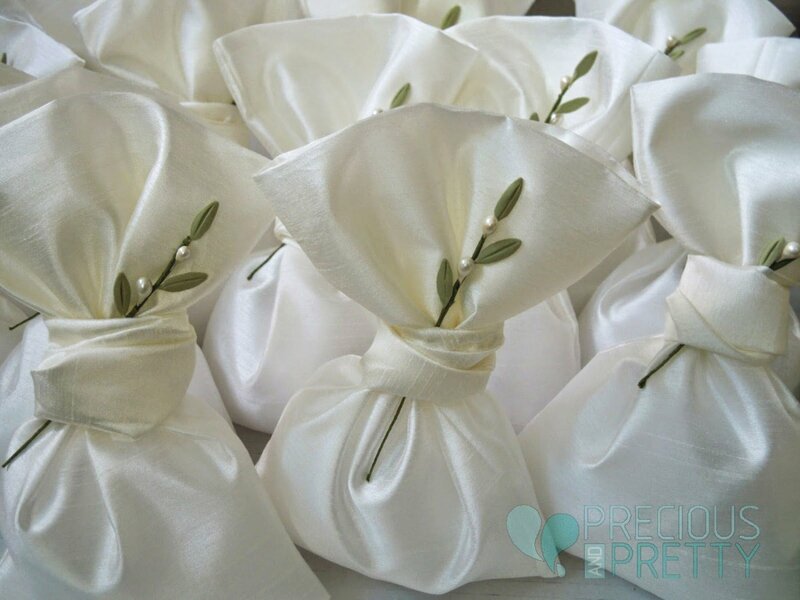 https://www.preciousandpretty.com/2015/02/greek-olive-wedding-favor-bags-g151.html Greek Wedding Favors|Orthodox Crowns|Stefana|Baptism Invitations Greek olive wedding favor bags G151 Greek wedding favor bags with handcrafted olive twigs, filled with seven sugared almonds koufeta Product #: Greek Wedding Favors|Orthodox Crowns|Stefana|Baptism Invitations_5339340263276431820 5 stars out of 5 reviews.